Happy Wife, Happy Life! Well if that isn't the truth! This white background sign measures 12x12 and comes with grass rope hanger for easy hanging. Handcrafted with pride!! 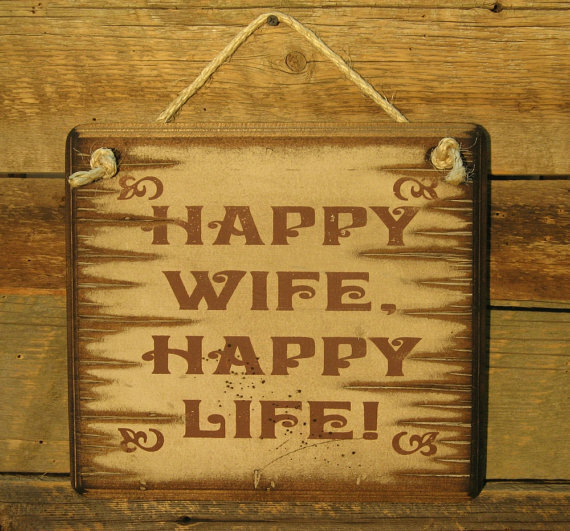 About Happy Wife, Happy Life!